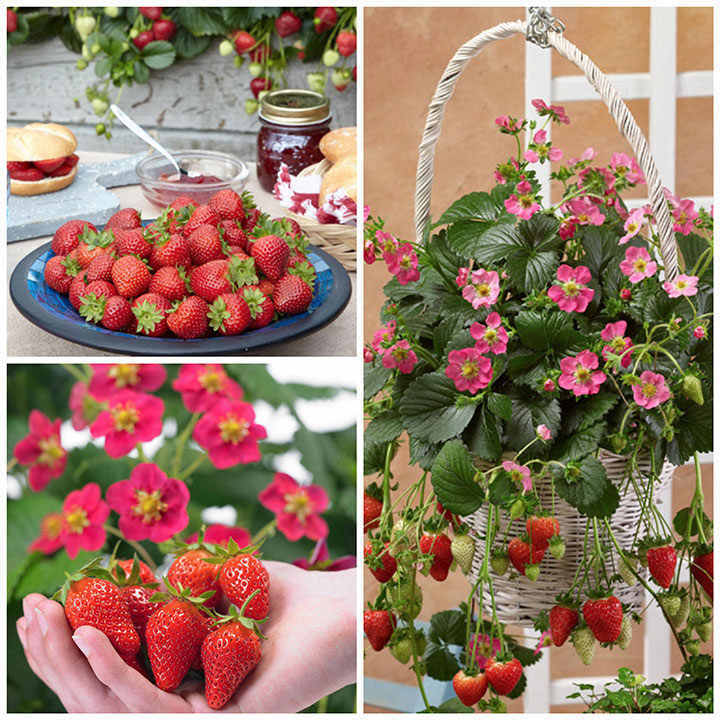 These vigorous strawberry plants are easy to grow and produce an abundant harvest throughout the summer until the first frosts. 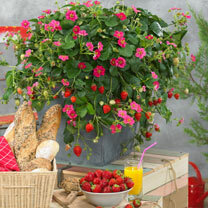 This is because they are "Day Neutral", meaning that unlike regular strawberries, the shortening daylight hours will not stop them fruiting after the summer equinox. 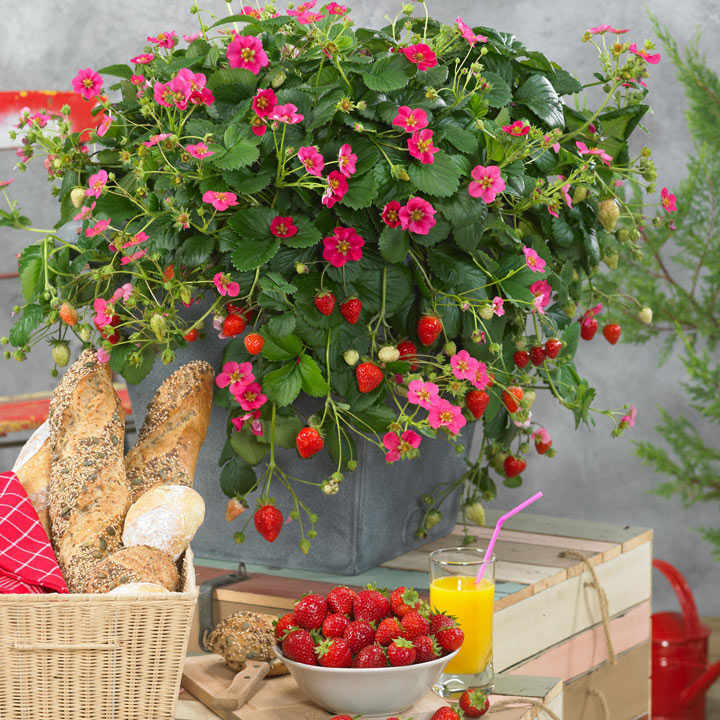 The best part though is the wonderful sweet strawberry burst of flavour from every handpicked berry. These plants have a nice uniform and compact size making them perfect for containers, hanging baskets or garden alike. 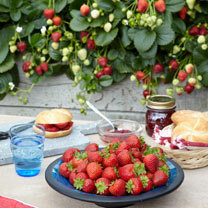 The more fruits you pick, the more your plant will produce, so your dessert dishes will be brimming with fruit for the whole summer and into autumn. Oh happy days. Day-neutral strawberries are insensitive to day length. So they continuously grow fruit as long as the weather is fair. 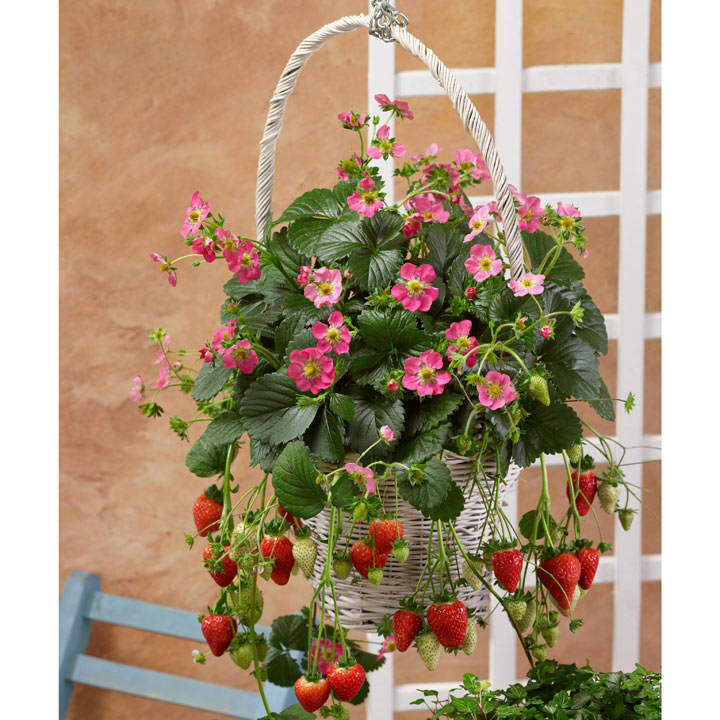 They also produce beautiful dark pink, white and pale pink flowers, so they’ll create an ornamental talking point on your patio all summer. 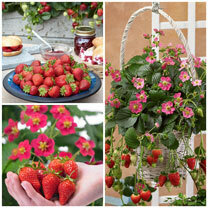 Our collection includes a mix of 12 plants (4 of each variety) F1 Delizz, F1 Toscana and F1 Frisan. F1 Delizz® - What's not to like about our first ever AAS strawberry winner? F1 Toscana - Unusual dark pink flowers. F1 Frisan - Beautiful pale pink flowers.